The island’s coasts represent a stunning natural backdrop of unsurpassable beauty. Which is why Rio Diving Center also organises boat trips for non-divers. 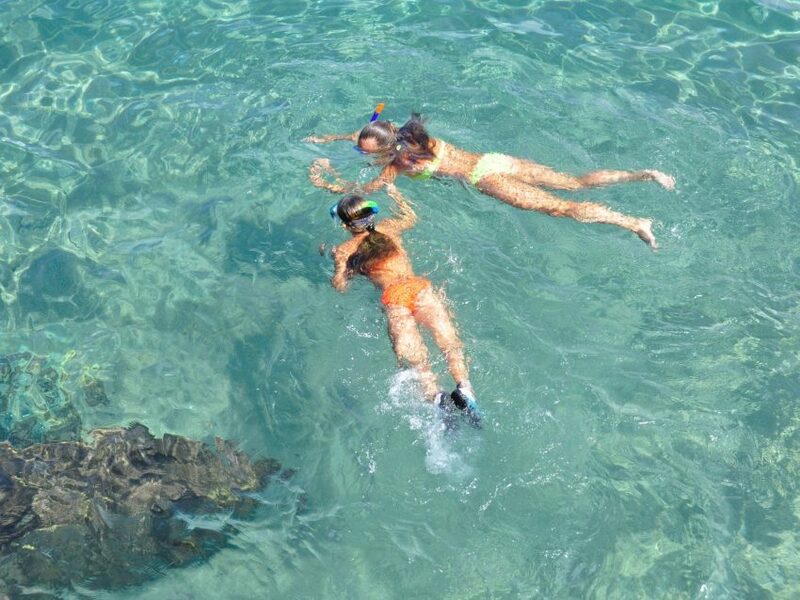 The outings will include snorkelling or regular trips to the numerous coves scattered around the island on the M/B Menandro. Choose among one of the following itineraries or get in touch with us to plan your trip now. The coast of Capoliveri promontory and its famous coves, the Golfo Stella and Golfo Lacuna gulfs, landing at Marina di Campo (ideal when northerly winds blow). Baia di Cavo, Isolotto dei Topi and landing at Frugoso beach, bathe at the Grotta dei Mangani cave along the coast of the park (ideal when southerly winds blow). Trip to the three islands: Cerboli, Palmaiola and Topi. … if our resident biologist is around, you can also request his services on the trips. Receive real-time explanations on what you’re seeing paired with titbits on various species populating the area. Moreover, you can also organise a brief, on-board presentation on the main species living on the seabed of the island (ideal for all age groups).